Senior Parker Shugars sets up his teammates. 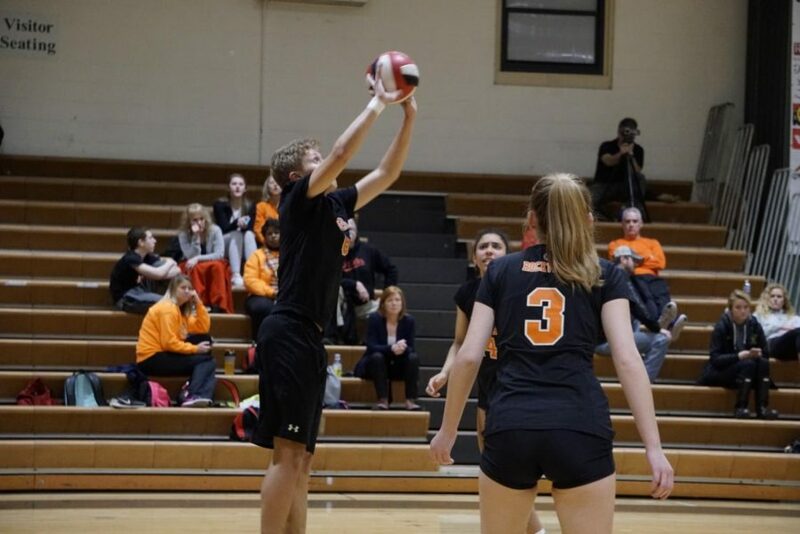 Despite having a new coach and only four returning players, varsity co-ed volleyball has climbed to second place in the county with a record of 10-2. Head coach Ray Trail took over as co-ed volleyball coach following a 10-2 season and the loss of nine players from the class of 2017. Trail said that one of the main reasons why the team has been able to overcome these losses is its cohesion. “We have made some great improvement in working together and overall team chemistry during the season … everyone seems to work well together and gets along both during school and during volleyball,” Trail said. Senior Megan Pianalto said that Trail has fostered a positive attitude on the team which has helped them work through the challenges which come with being an inexperienced team. “It is very easy to get down on ourselves when we make a mistake, but our couch emphasizes the idea of approaching each point with a fresh mind,” Pianalto said. The co-ed volleyball team plays their first playoff game at home tonight at 3:30 p.m. against Gaithersburg H.S. Senior Thomas Rada rises above the net for a kill. With only eight players on the roster, varsity boys volleyball has surpassed last year’s 5-7 record. The boys currently hold a 7-4 record which head coach Stacy Krebs attributes to the team’s dynamic hitting abilities and athleticism. Krebs said the main focus of the team has been on service. One of the team’s main weaknesses has been its communication skills. However, Senior Michael Mantzouranis said that the boys have been able to overcome this and take advantage of the mistakes of the other team to snag more wins. 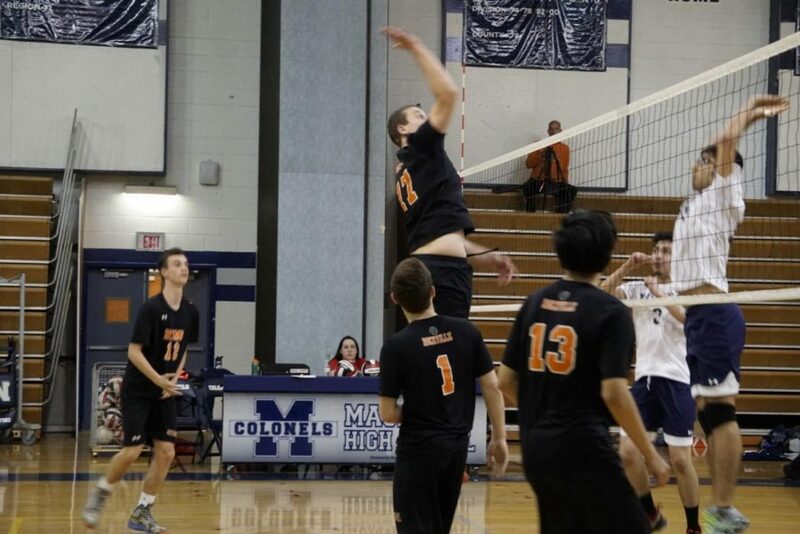 The boys volleyball team plays their first playoff game at Watkins Mill tonight at 5:30 p.m.